Halifax was devastated on 6 December 1917 when two ships collided in the city’s harbour, one of them a munitions ship loaded with explosives bound for the battlefields of the First World War. What followed was one of the largest human-made explosions prior to the detonation of the first atomic bombs in 1945. 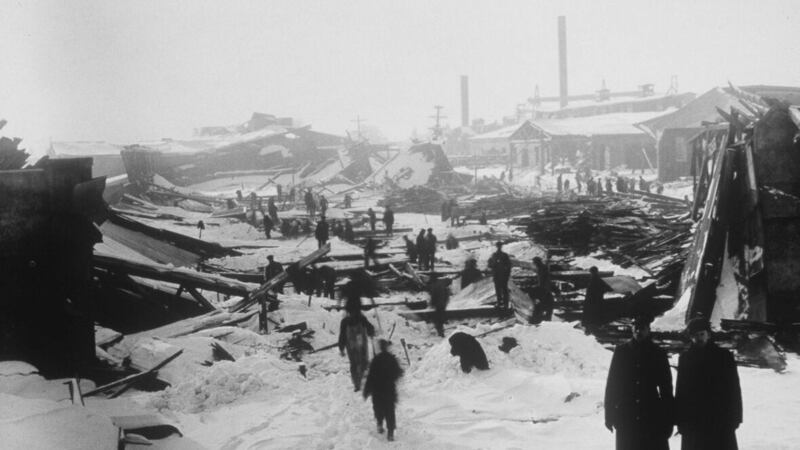 The north end of Halifax was wiped out by the blast and subsequent tsunami. Nearly 2,000 people died, another 9,000 were maimed or blinded, and more than 25,000 were left without adequate shelter.